Listening and movement coordination develop well before we are born. During the first half of pregnancy the fetus begins to experience and learn, listening to the mother's voice and through their movement together. Dr. Alfred Tomatis has shown that, while in the womb, we incorporate and respond to the rhythm and melody of our mother's voice. He demonstrated that this sound interaction influences our language skills, behavior, and movement development throughout our lives. During infancy and early childhood intensive listening and movement learning processes occur. Often these developmental processes are disrupted by factors such as ear infections, emotional difficulties (adoption distress, etc.) , sensory-motor deprivation or overload, pre-, peri- and postnatal factors, and so on. 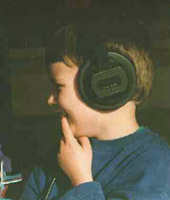 In these cases the ear and movement control can not reach their full life-potential. One of the leading causes of learning and developmental disorders (Dyslexia, ADD, PDD, Autism) is the reduced ability to neuro-cognitively process sound and listen well. Even during adolescence and adulthood, these fundamental capabilities can be enhanced and refined further. Our listening and movement skills profoundly influence the quality of our personal and professional lives. Learning to effectively listen means not only learning to listen to what others say, but also to listen to our own thoughts and feelings. The ability to transition back and forth from the outside world to our inner voice is equally important in the listening process. This helps us organize what we perceive and feel in a meaningful manner. Learning to filter and prioritize this interaction allows us to organize only relevant information and feelings for each situation. This skill enhances the way we learn and is especially significant in interactive group situations (class, work teams). 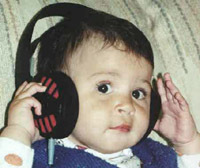 Dr. Tomatis was the first to propose that listening is distinctive from everyday hearing. Listening, as opposed to simply hearing, is an active, voluntary and complex process where we choose which information that we want to take in and which information we need to filter out in the context of every situation. For instance, when talking with someone, we are able to hear an airplane flying outside. We are able to continue to communicate without being interrupted or disturbed by the noise and are aware of the airplane's presence but can focus without effort on the conversation. Children and adults who visit us hear well but do not listen at their highest potential. These people benefit from learning how to listen efficiently so that they can improve their attention and their ability to process effectively. As Dr. Tomatis demonstrated, listening depends on an individual's motivational attitude. Here we ask ourselves: "Do I want to listen or not?" Listening is also influenced by our emotional state. Some people try listening mindfully, expending a great amount of energy to do so. Still, they are unable to listen well (as opposed to simply hear well). The Tomatis-developed Listening Learning ProgramsT train our listening skills so that we can listen better. We will listen beyond what is being said to what it is being communicated overall. Cohesive listening provides us with better communication capabilities, enhancing our repertoire of learning strategies. This listening development can bring about positive changes in other aspects of a person's life as well. Supporting this new behavior is the development of a better listening posture, which will also be trained during our listening program and further integrated through our movement program.